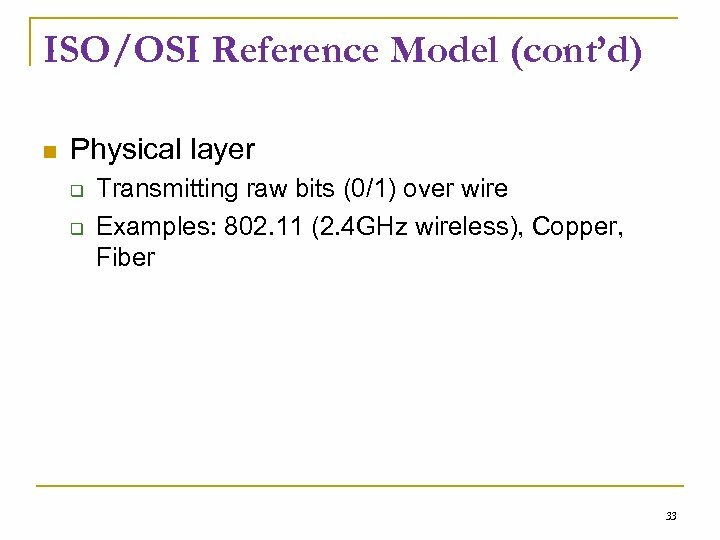 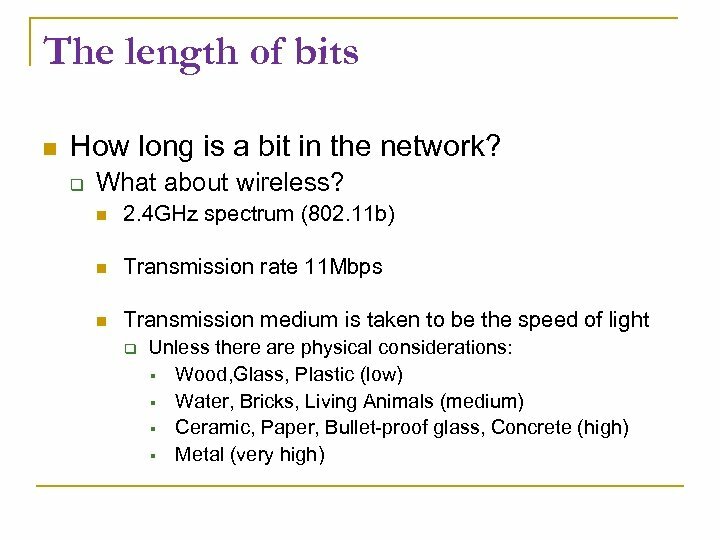 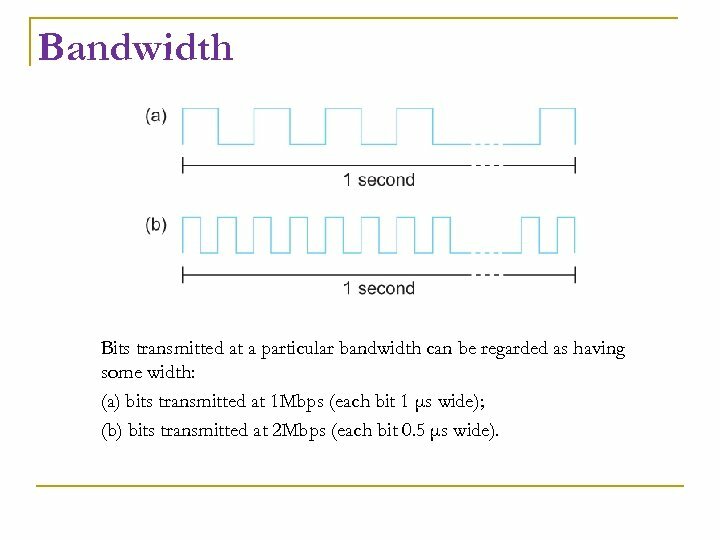 Bandwidth Bits transmitted at a particular bandwidth can be regarded as having some width: (a) bits transmitted at 1 Mbps (each bit 1 μs wide); (b) bits transmitted at 2 Mbps (each bit 0. 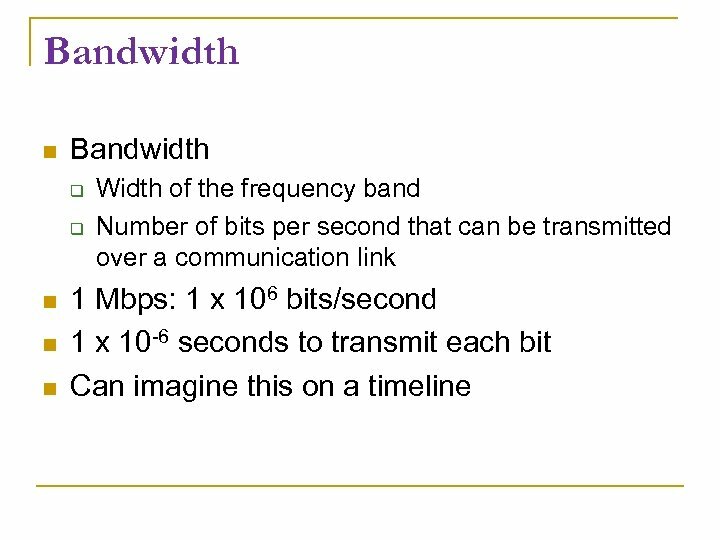 5 μs wide). 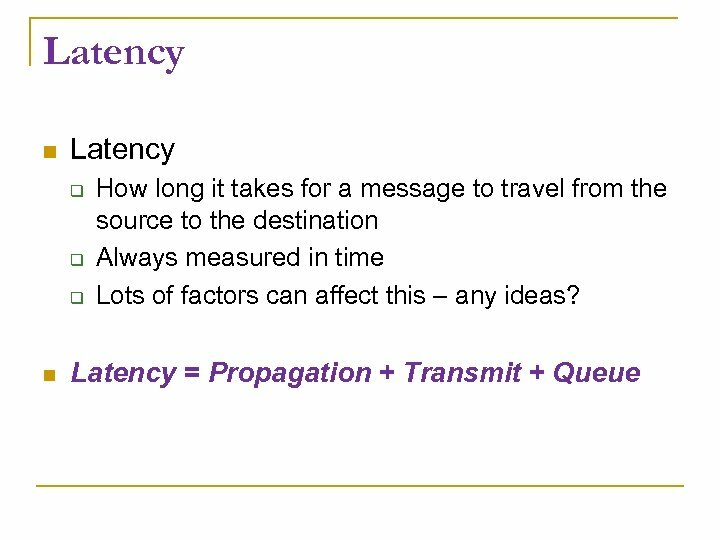 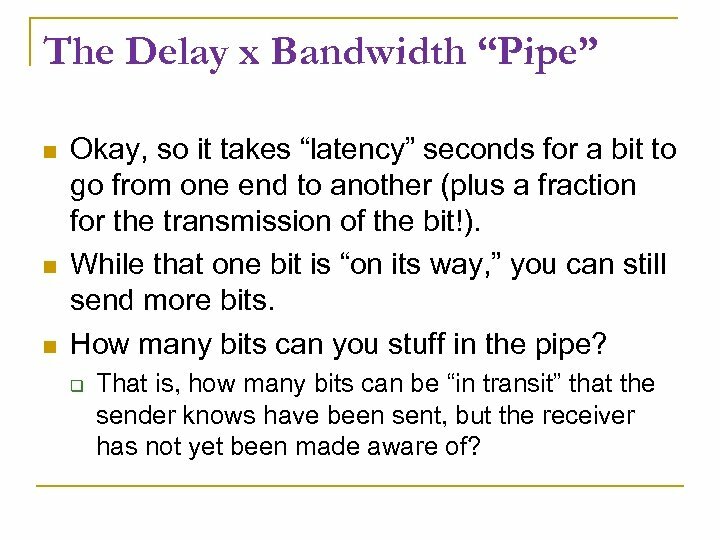 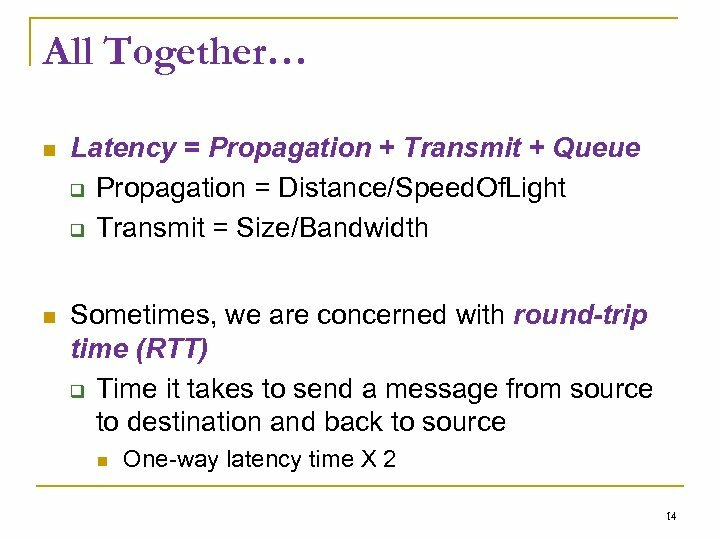 The Delay x Bandwidth “Pipe” Okay, so it takes “latency” seconds for a bit to go from one end to another (plus a fraction for the transmission of the bit!). 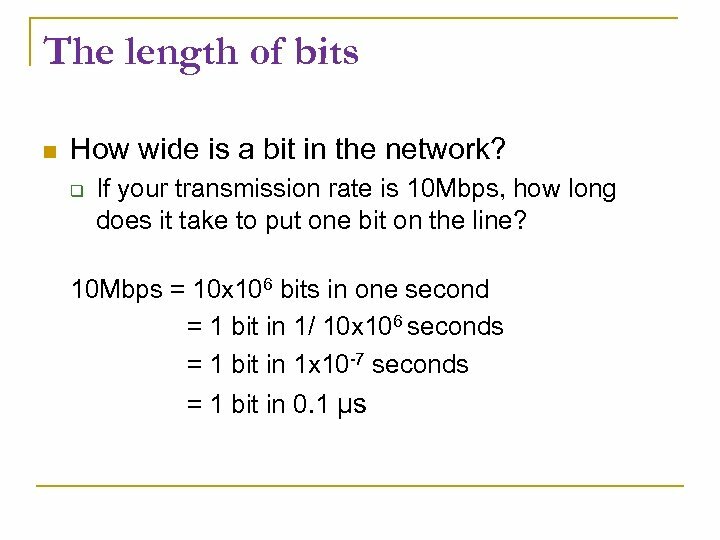 While that one bit is “on its way, ” you can still send more bits. 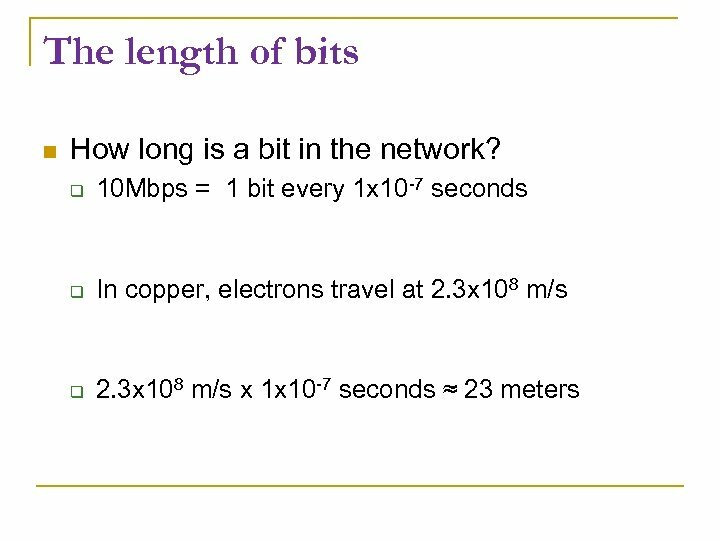 How many bits can you stuff in the pipe? 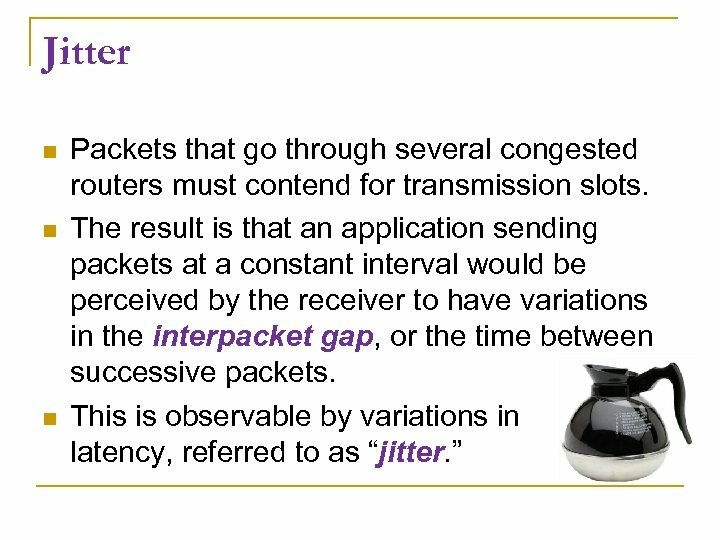 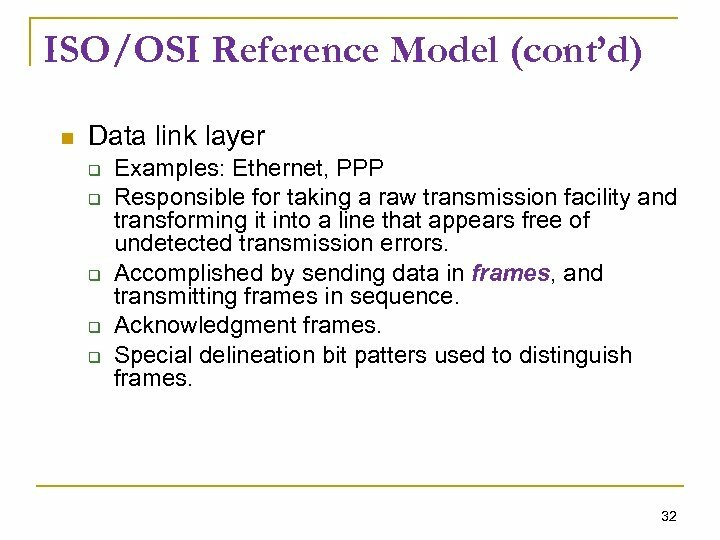 That is, how many bits can be “in transit” that the sender knows have been sent, but the receiver has not yet been made aware of? 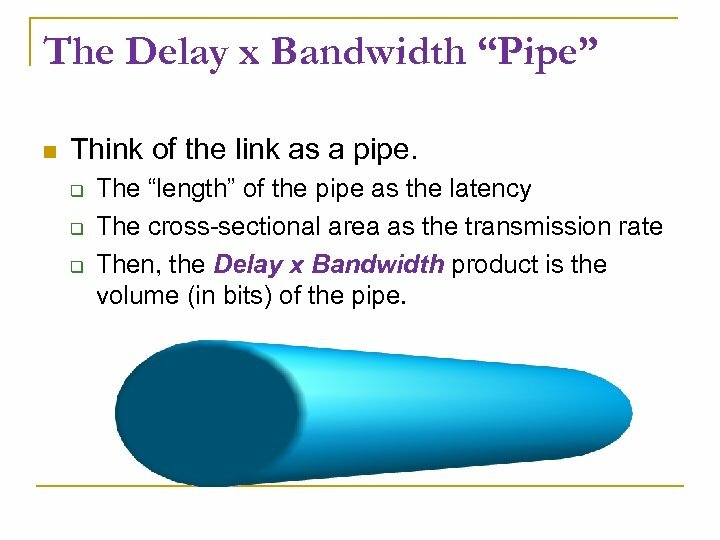 The Delay x Bandwidth “Pipe” Think of the link as a pipe. 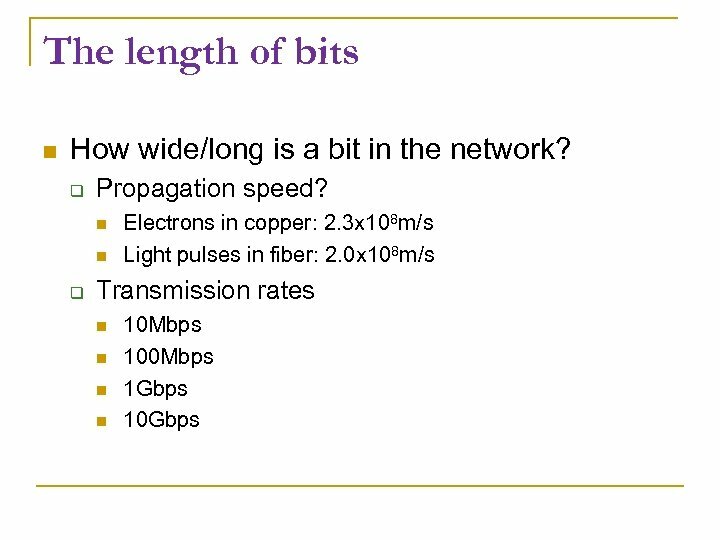 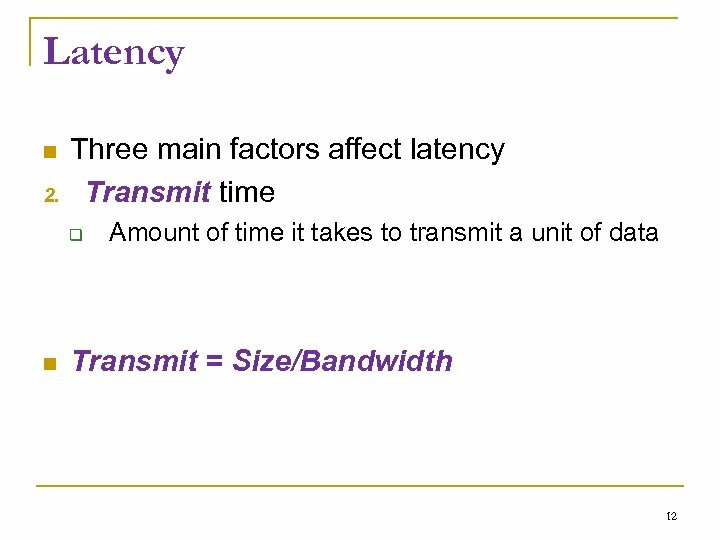 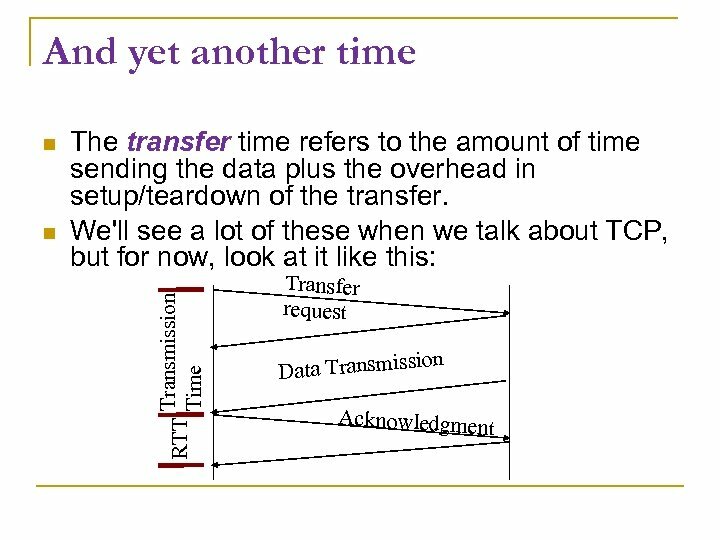 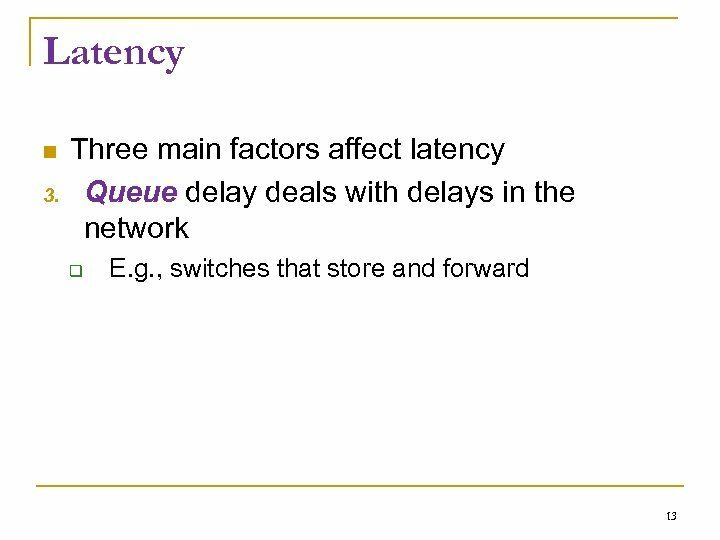 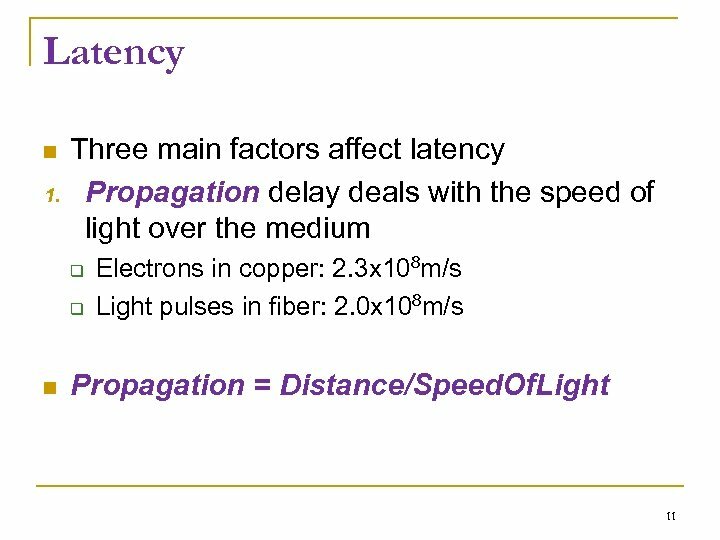 The “length” of the pipe as the latency The cross-sectional area as the transmission rate Then, the Delay x Bandwidth product is the volume (in bits) of the pipe. 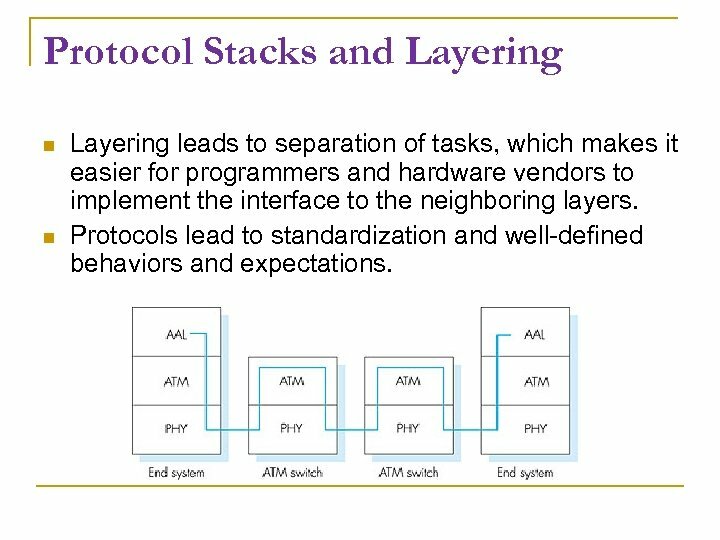 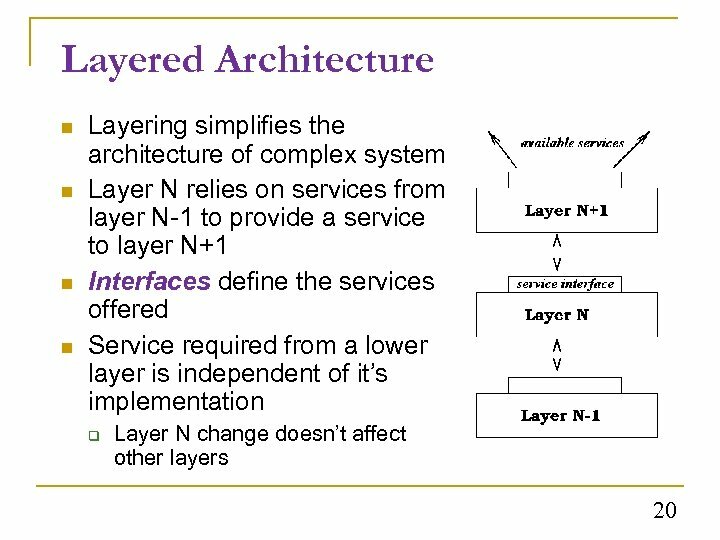 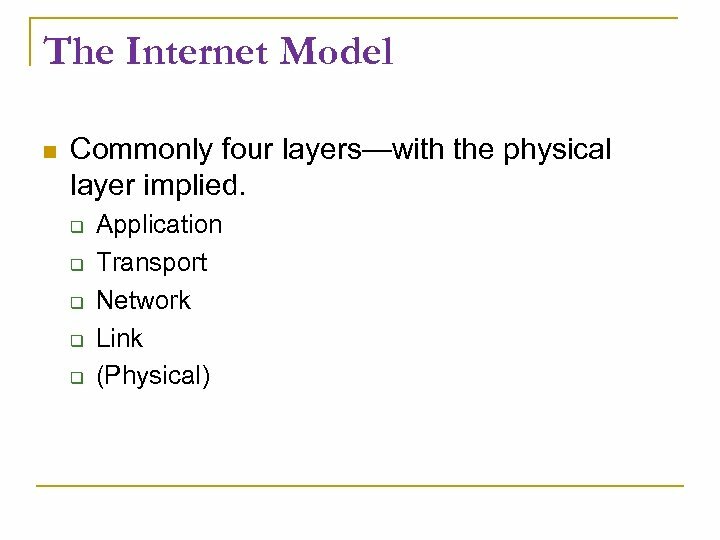 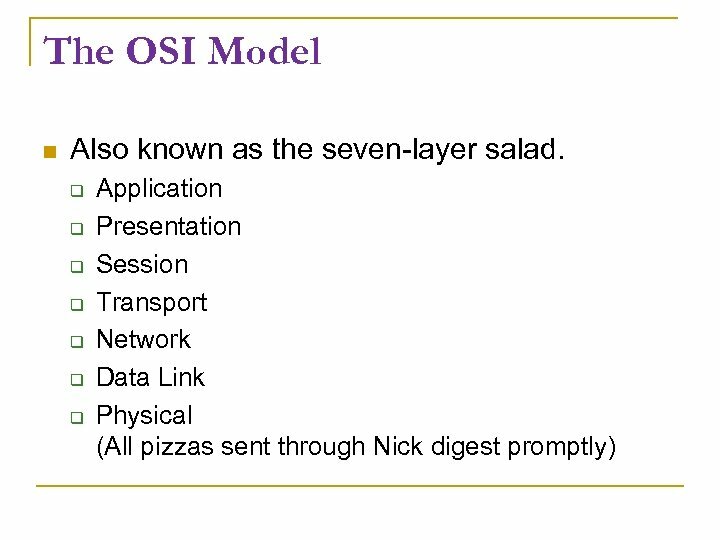 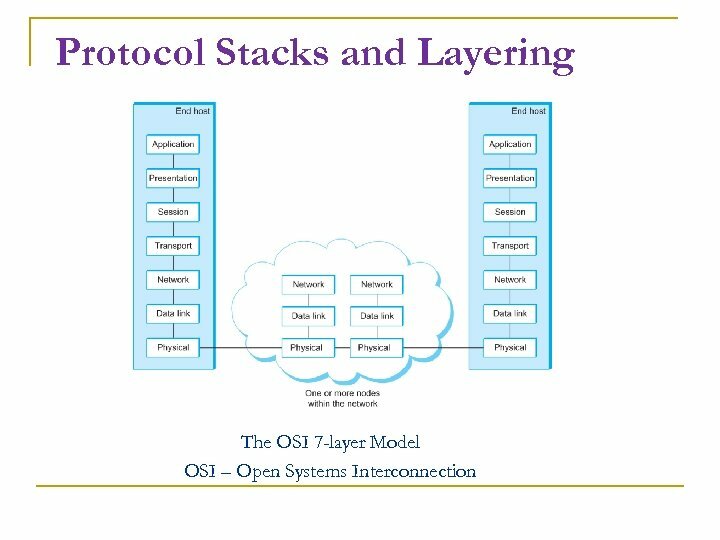 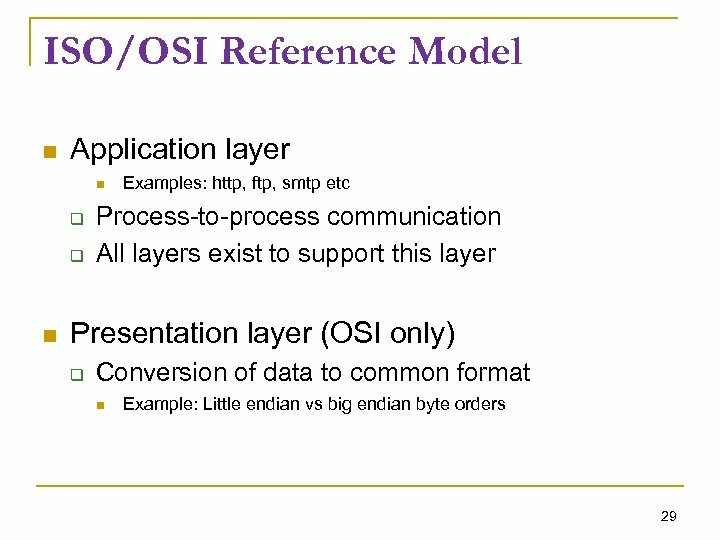 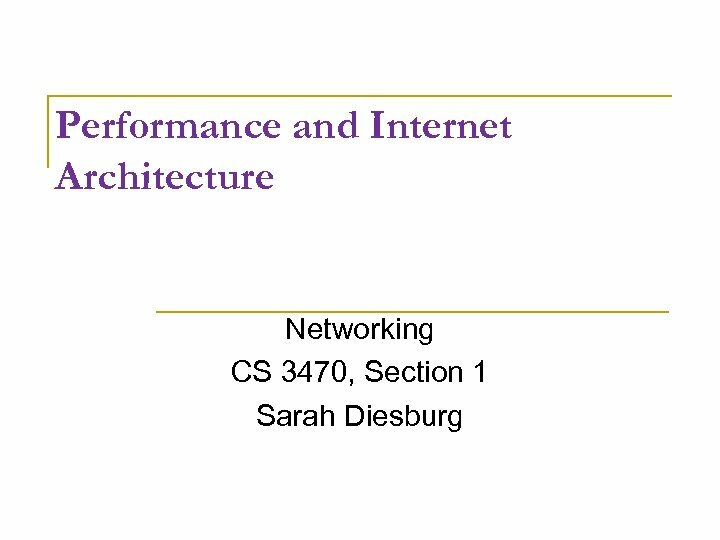 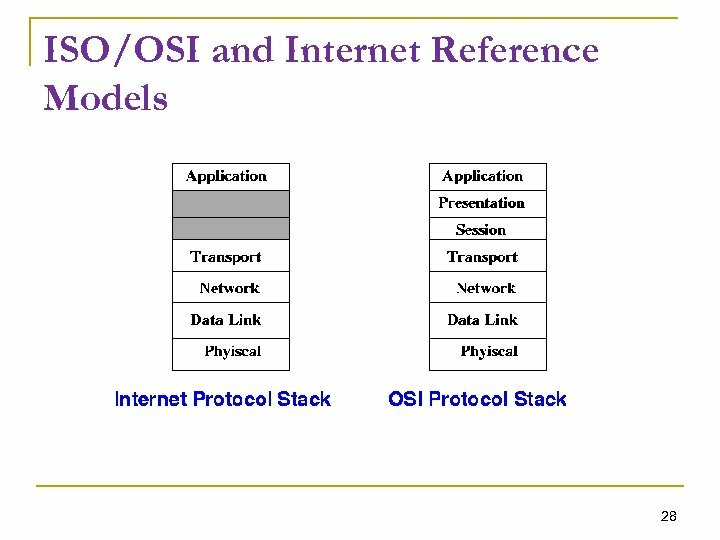 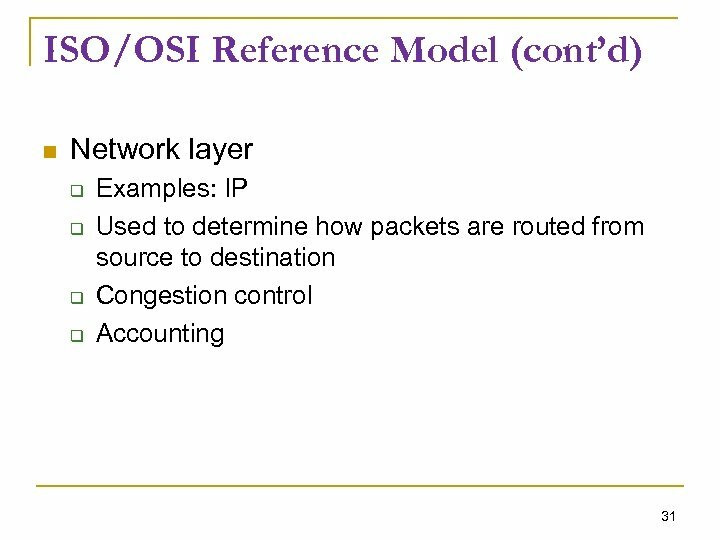 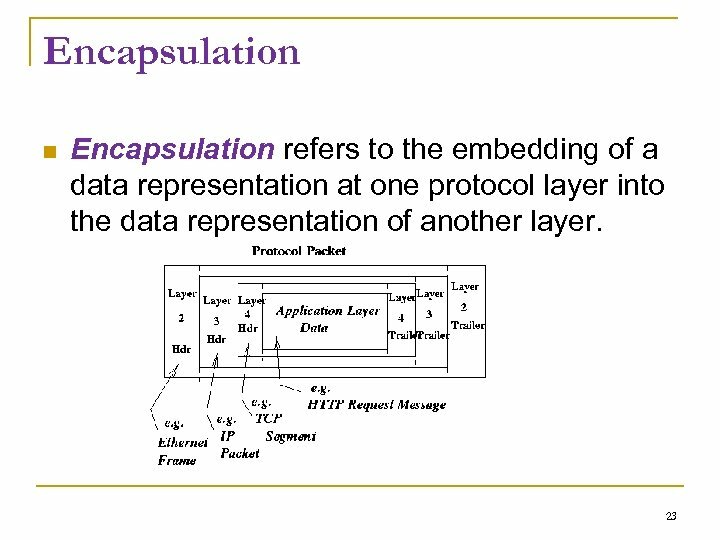 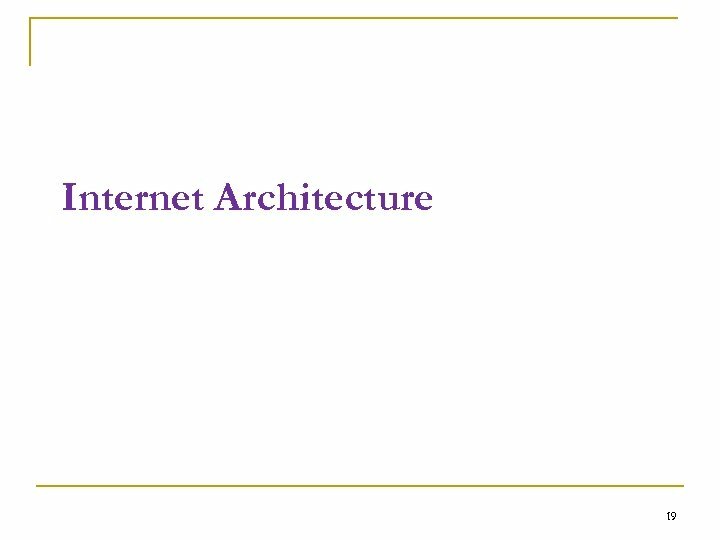 Protocol Stacks and Layering leads to separation of tasks, which makes it easier for programmers and hardware vendors to implement the interface to the neighboring layers. 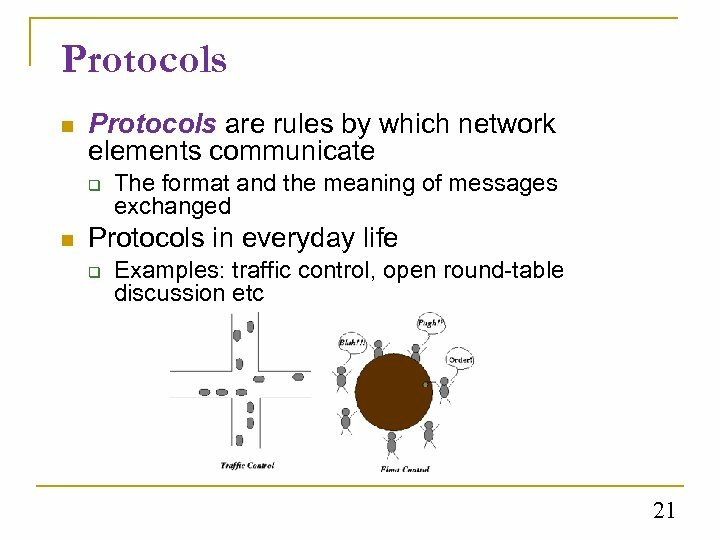 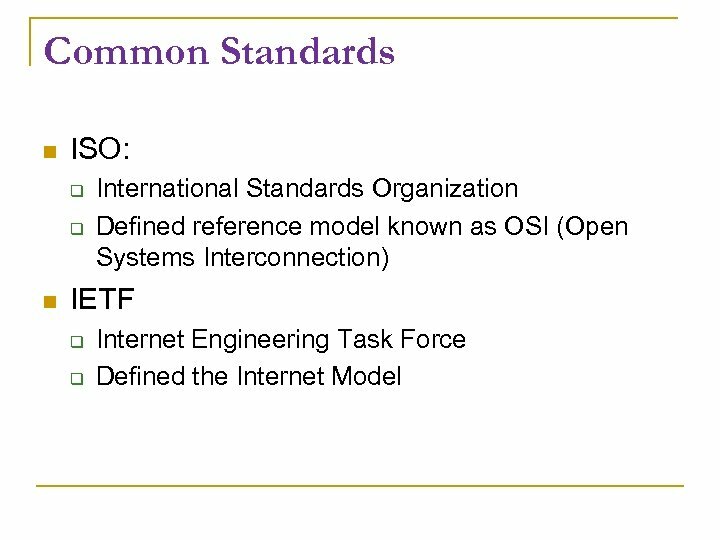 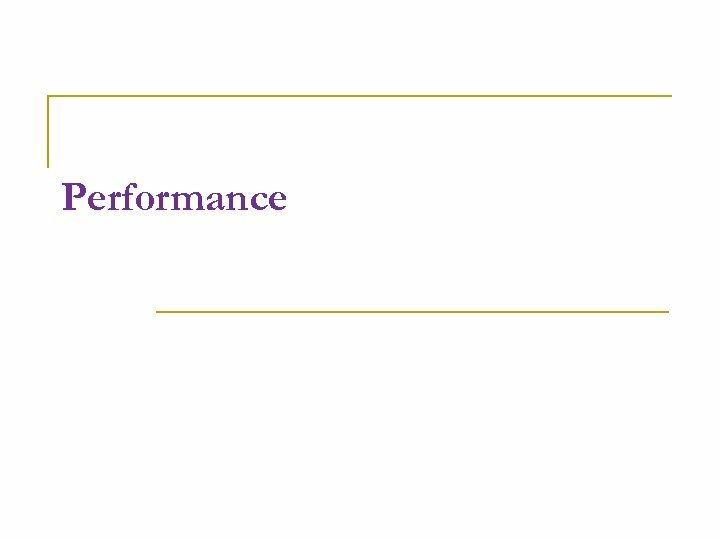 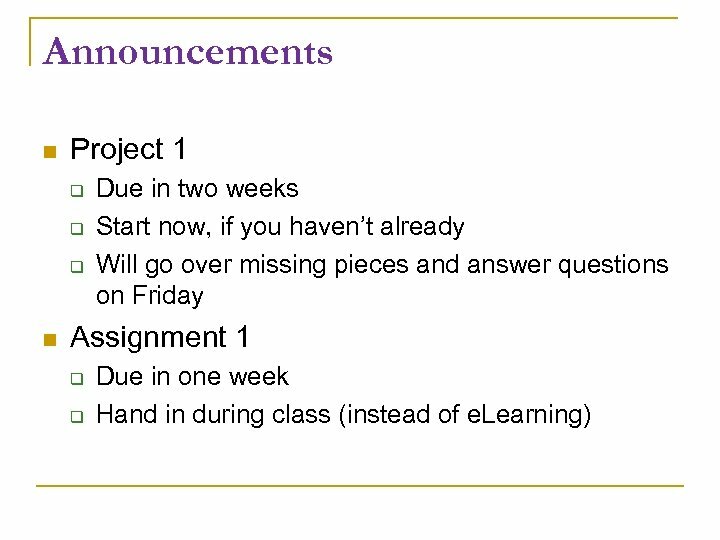 Protocols lead to standardization and well-defined behaviors and expectations.